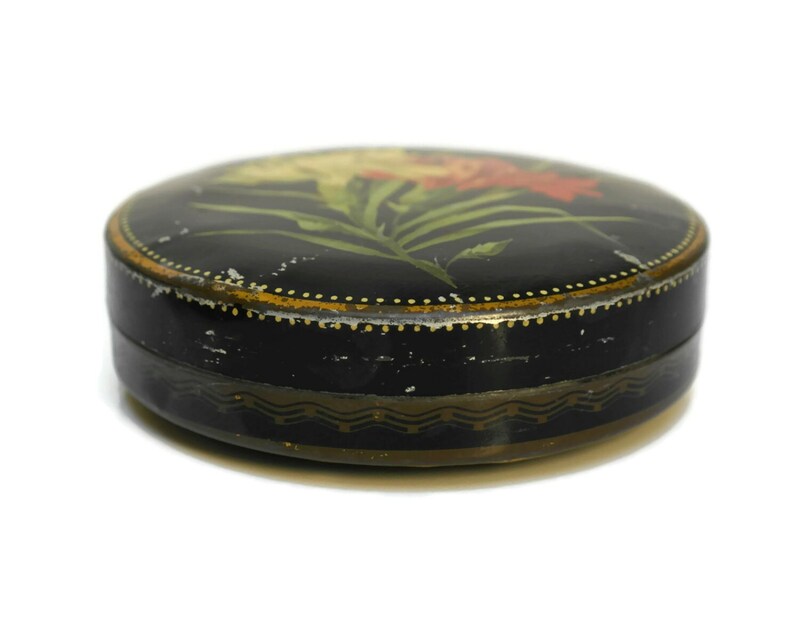 A lovely French vintage lithograph sweet tin box dating from the early 1930's. 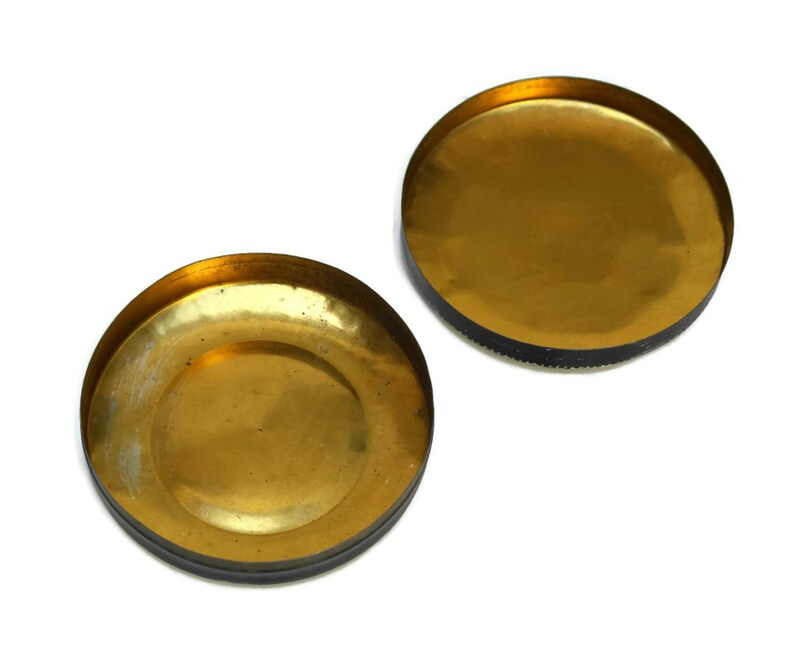 It once was used to hold French bonbons. 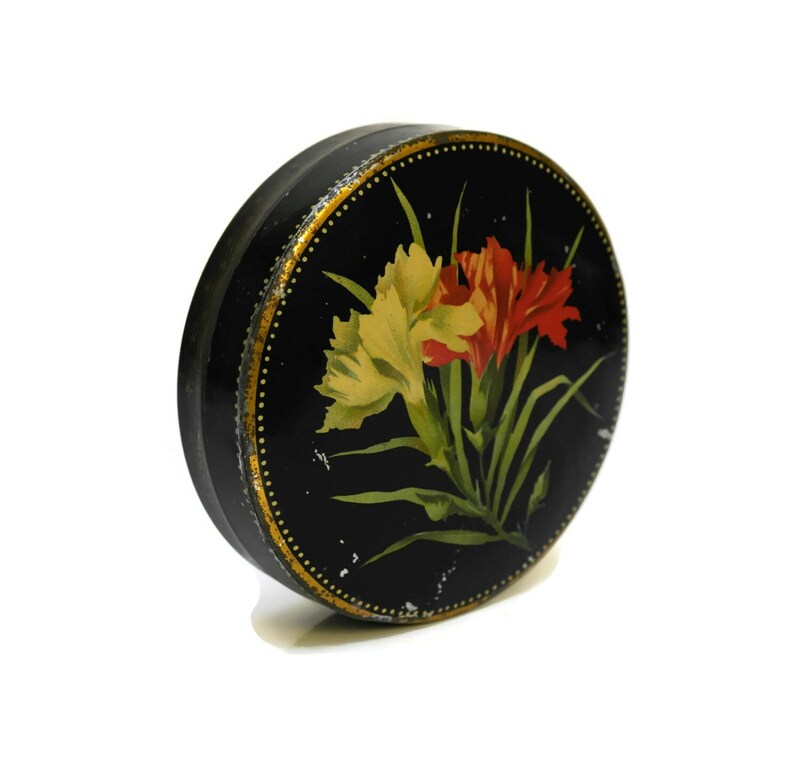 The collectible tin has been romantically decorated with a red and a white carnation. 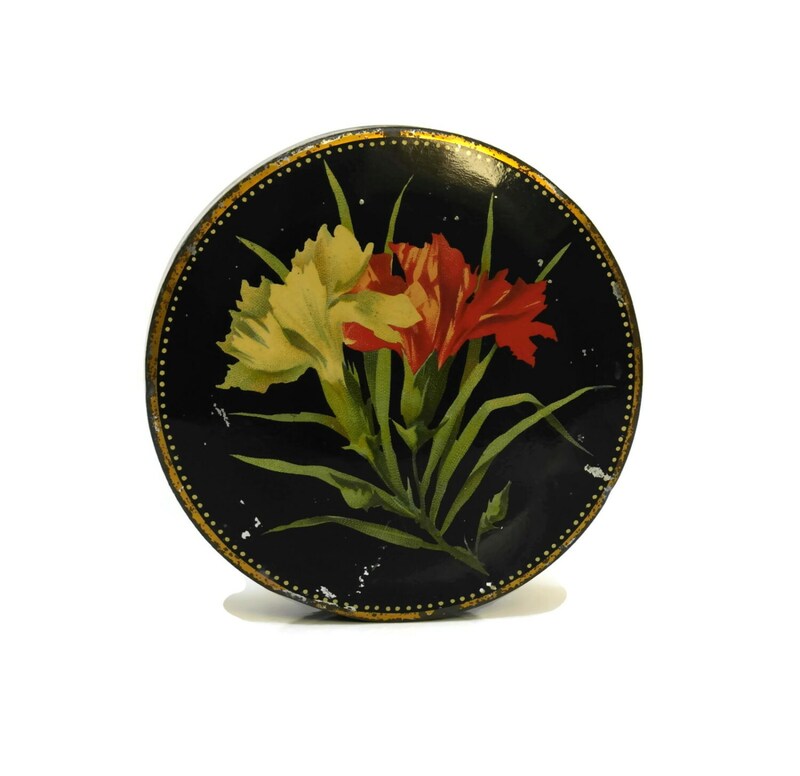 The round metal tin has been decorated in shades of black and gold with a colorful image on the lid. 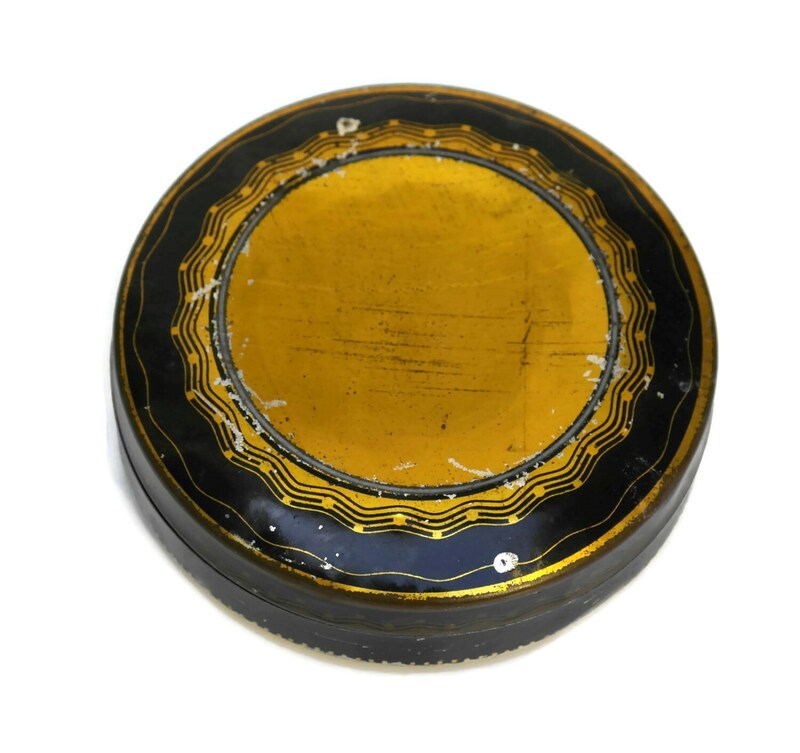 It is in very good vintage condition with age-appropriate wear including light scratching and wear to the tin and its interior.